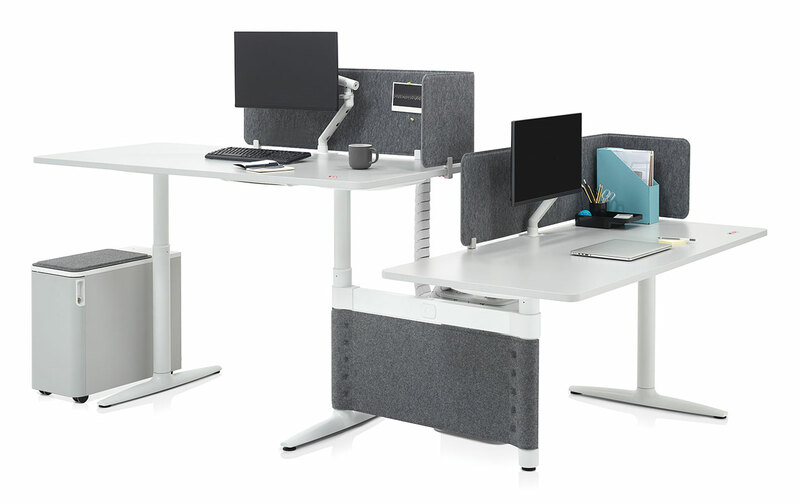 Atlas Office Landscape is a work system which brings together height-adjustability and collaborative working in one elegant solution. With a unique “no beam” structure, it frees the workspace from clutter so people can sit or stand in comfort, adapting postures to their activities. Make the space your own by combining desks, screens, tables and storage elements to create places that invite collaboration, focused activity or impromptu meetings. Atlas Office Landscape brings together height-adjustability and collaborative working. 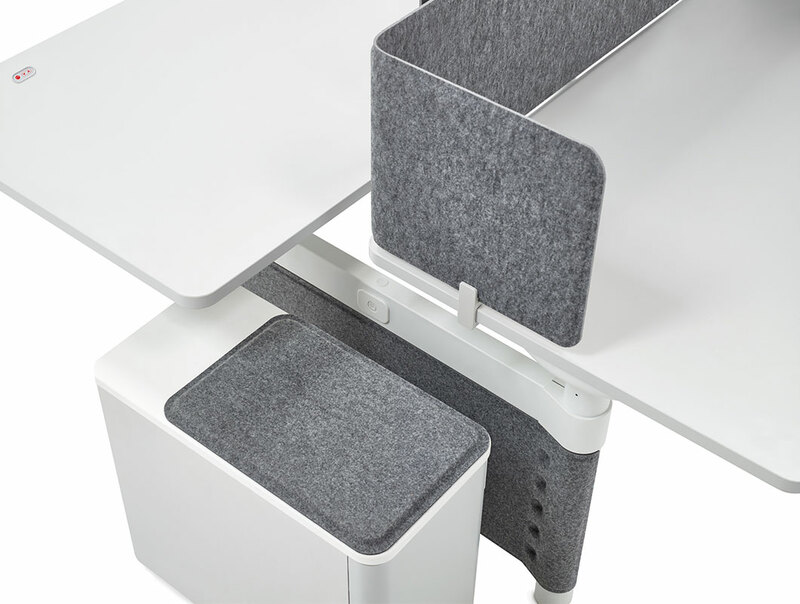 Desks can be configured to make space rather than lose it. 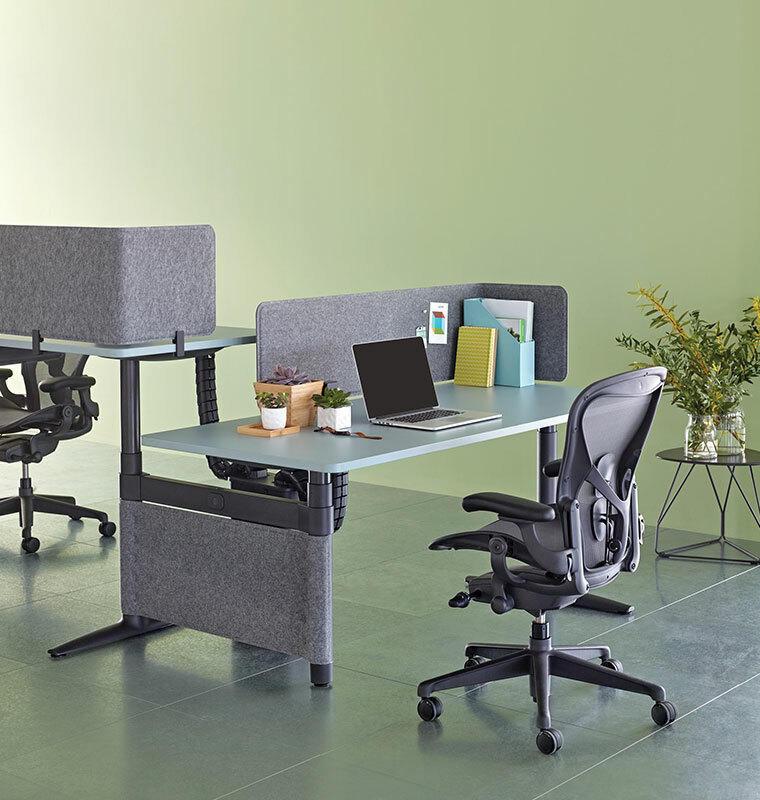 Shared cable management and personal stowage can be built into the workspace, capitalising on the spaces between desks, or drop-in spaces can be incorporated into individual workstations. 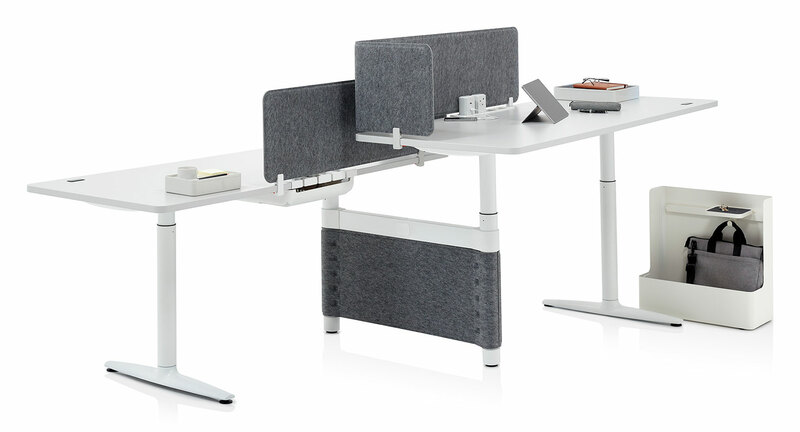 Atlas Office Landscape is a height-adjustable work system that goes beyond the sit-to-stand desk. Its holistic approach encourages imaginative new ways to plan office spaces through a focus on human-centred design and ergonomic excellence. 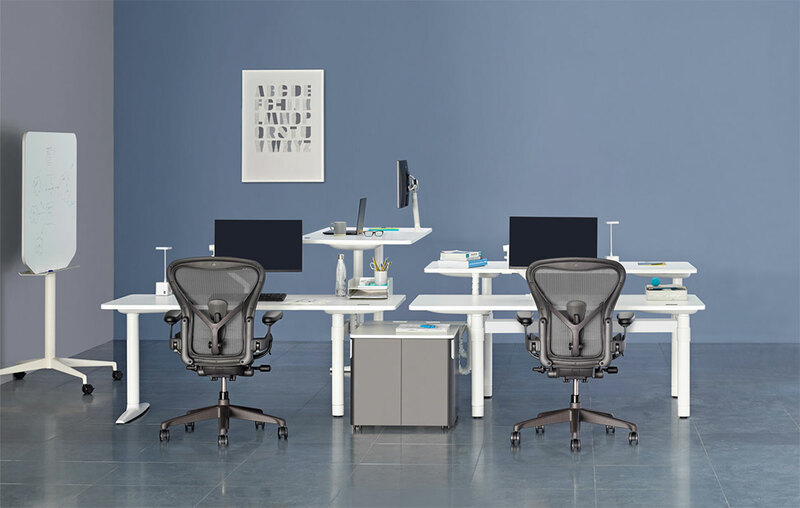 Reflecting Herman Miller’s long history and expertise in pioneering innovative work systems, Atlas Office Landscape differs from a standard sit-to-stand desking system. 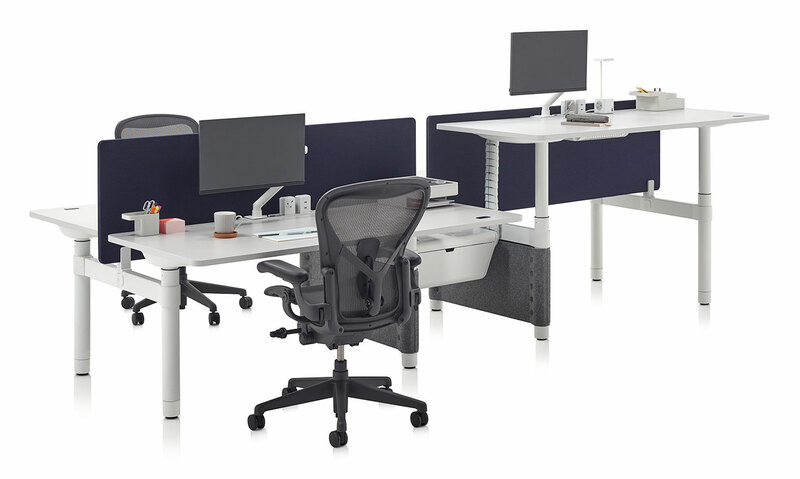 A simplified and consistent approach to both componentry and electric options makes configuring and creating large groups of height-adjustable desks as easy as a single workstation. Integrated storage and meeting tables ensure Atlas has the flexibility to meet each individual’s needs with ease. With its softly curved edges, Atlas Office Landscape has an organic appearance that flows effortlessly through your office space. Crafted to reflect the elegance of a piece of furniture rather than a row of regimented desks, its rounded aesthetic is consistent across the whole vocabulary. Work surface, screens, power supply and storage make spaces feel more organic, more inviting, more human. Atlas uses shared componentry to make specifying large groups of desks as easy as a single workstation. Desktops, electric options, wire management, leg columns, and stowage can be used across every application.